The 2011 BMW 1 Series has been launched yesterday a couple of months ago sporting the 2012 model year. 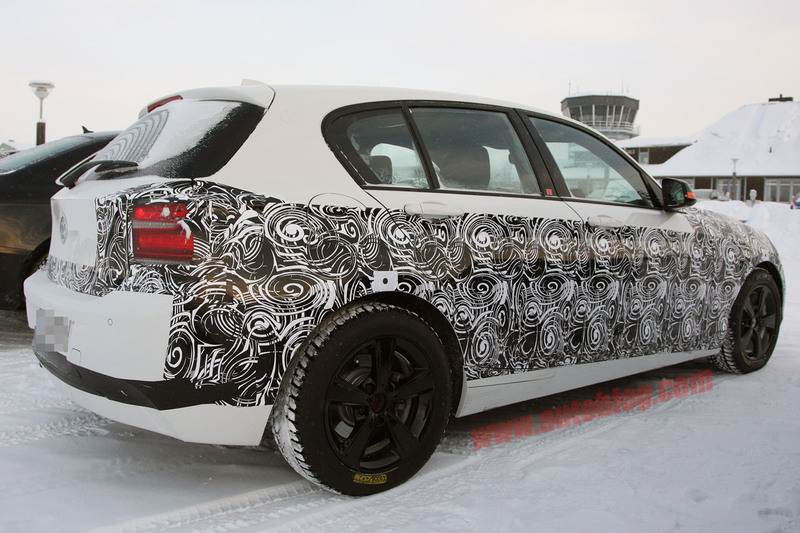 What we have here however is the true 2012 BMW 1 Series, the version that will actually be made in 2012, and not just named like it was. Since we’ve barely gotten to the point where the second generation of the BMW 1 Series is merely spyshot material don’t expect much in the way of technical specs. 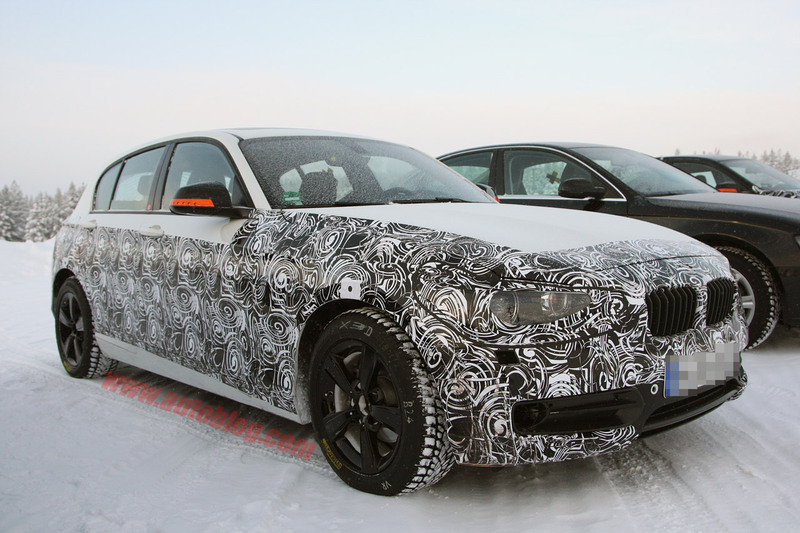 What we can figure out so far is that the 2012 BMW 1 Series will look better proportioned and that the side-view mirrors will incorporate turn signals. 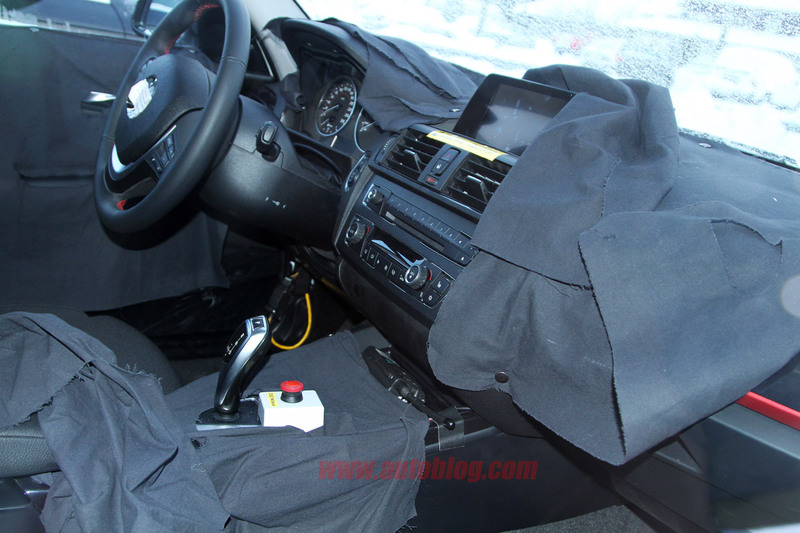 The interior of the 2012 BMW 1 Series has also been refreshed as it’s no longer very gray or black and now features nice colorful accents on the seats and dashboard. The speculation in the engine department however is far more interesting as we’re hoping for the fabulous ZF eight-speed automatic transmission that may be the only one available with the 2012 BMW M5. On a more down to earth speculation level, the hottest versions will most likely get a 2.0 liter turbocharged four cylinder engine that can develop as much as 240 horsepower. Given the circumstances of the testing with some xDrive models and an Audi A4 there’s also room for speculation of a four wheel drive system being available on the next generation of BMW’s smallest car.